Unexpectedly, Me Too, Flower has rapidly risen into my favorite airing drama. I can't say that I love any of the characters yet, but I'm growing fond of each of them and am definitely invested in their development and road to self-happiness. They're each so quirky yet complex, with lives that are at one moment hilarious and the next heart-breaking. 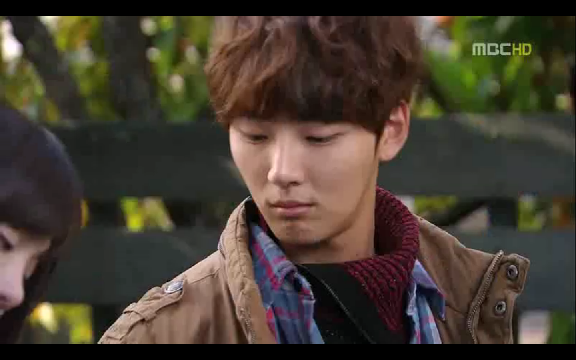 Lee Jia and Yoon Shi Yoon are excellent in their roles, and I'm eager to see how the story proceeds. Originally, Me Too, Flower wasn't even on my to-watch radar, as the previews didn't exactly play in its favor. However, after peeking at a recap of episode 2, I learned that Lee Jia's character suffered from depression. That instantly awakened my interest, because really, what could be more ready-made complex character and plot fodder than a deeply personal problem that many of us can directly relate to? And I wasn't disappointed. They handled the issue with care but also humor and heart. It's present but it doesn't result in mopey melancholy. Instead, it's just one character element contributing to a much larger story. Also, I was surprised by how well Lee Jia and YSY worked together. It's shocking that they're actually nine years apart in age (Lee Jia was born '77 and YSY '86) because they have such great interactions on screen. In her other dramas, Lee Jia just always looked stiff and uninteresting, while YSY was decent but not my type of guy in Baker King. However, here both really embrace their roles and have loads of believable chemistry with one another. Of course, I already knew what was going on with Lee Jia's character before I started watching, but even so, I didn't find her as screechy or annoying as I'd feared. Instead, she treads carefully between emotive and sarcastic, without making her character into a caricature. Although at times her face can be alarmingly stiff, she does an excellent job during the teary moments, as well as with the cynical humor. My greatest happiness though is with YSY. He manages to be both adorable and smexy. While in Baker King he constantly resembled a little boy, here he manages to convey a very grown-up, confident, yet vulnerable man. He does have a baby face, but I don't think it detracts from my perception of his character. I think I may be much happier with him than I would've been with Kim Jae Won (although I've never been a huge KJW fan). For our second leads - I don't care much for the CEO lady. She's a fairly typical second lead with a conniving seductress attitude. I do like her better than Seo Hyo Rim's spoiled brat character. 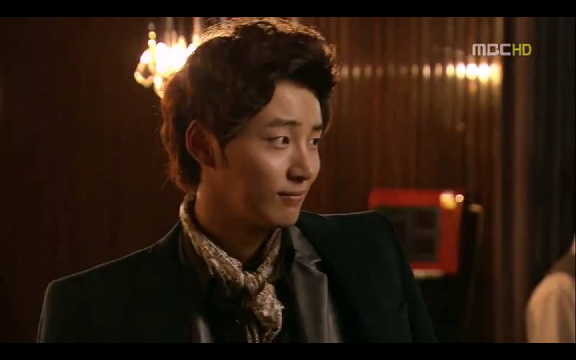 The latter is probably the most annoying person so far - talk about the roommate from hell. I'm sure that since it's a kdrama the end result will be that she and Lee Jia become best friends, but I blanch at that thought. It's so cliche and unnecessary - some people are irritating by nature, and not everyone gets along after proximity. I'd much rather they keep the civil but hilariously hostile, bantering relationship that they have now rather than turn into miracle sisters. If there's any noble idiocy later on by Lee Jia for that younger sister's sake (especially regarding YSY) I'm definitely not going to be happy. I hold similar feelings for Bong Sun's dad. He had a pretty jerkface and disgusting appearance in episode 4, and again I hope that they don't somehow end up super close father-daughter at the end (especially not by some plot gimmick). Because honestly, that would be both unnecessary and unbelievable. A lifetime of dislike can't just fade away in a few months, not to mention the conflict adds dimension and honest emotion to the story. And he really is gross (just remembering that soup dripping down his lip and his chewing with his mouth full in the scene makes me feel sick. Realism should sometimes be censored). Please please Asia, figure it out that not all parents are secretly good inside! Overall, I like that the story is eccentric without swerving into ridiculousness, and with plenty of serious to balance out the humor. In terms of this writer, I've only finished Sam Soon (started What's Up, Fox but got bored at episode 10), so I'm not sure if I can generalize what might happen later on with Flower. What I do know of Sam Soon is that it was awesome in the first half, but then the heroine became clingy and annoying. It was less angsty than most dramas, but the unnecessary back-and-forth in the end really put me off. I like Lee Jia's character right now, and I really hope that she doesn't go in the same whiny, clingy direction. I'm really excited to watch how everyone develops. 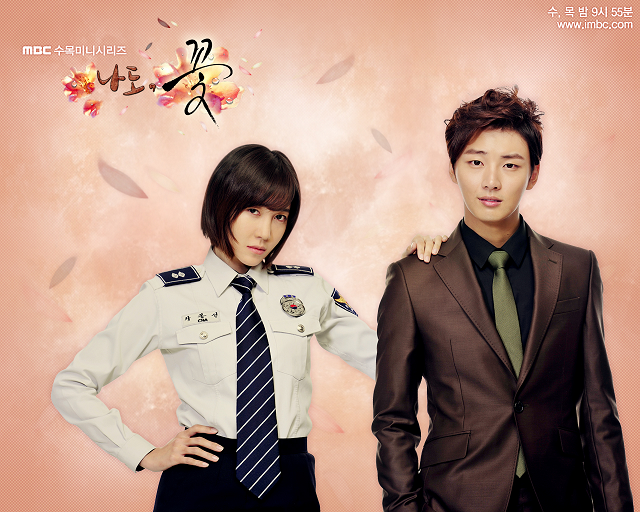 Hopefully the ratings improve, because this really is an awesome drama. But just have to make a call-out to the crab scene. Seriously the most hilarious thing I've watched, especially after the crabs rained down and started crawling away as the onlookers stared. Ha!